XDA Forum is at it again, this time a member Uizz has published a nifty little App called DashDroid Beta which lets you transfer or dash your files with ease from your Android devices to Windows PC. 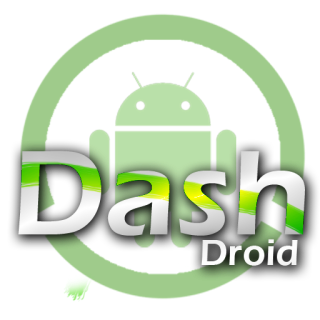 DashDroid is a quick and easy-to-use solution to wirelessly transfer files between your Android and Windows devices. It uses an innovative network data transfer framework exclusively designed to make the app fast and reliable. By opening DashDroid from your app drawer, you will be taken to the welcome screen. To be able to receive files from other devices, make sure "Run as client" is switched on. To customize the way DashDroid works , tap on the Menu icon in the top right and choose "Settings." To automatically allow all incoming file transfers without first asking permission , make shure "Auto-approve all dashes" is checked. If you want to manually choose where the files will be saved each time , check "Always ask where to save." , but if you want all files to be saved automatically to the same directory , leave it unchecked and make sure you setup a "Preset path" by tapping on the respective setting. To overwrite incoming files that already exist with the same filename in the selected directory , check "Overwrite existing files" . If this isn't checked , DashDroid will make sure both files will be kept. After you've configured DashDroid the way you like it , you can dash files to your device from any other device running dash . You will be automatically notified about new incoming transfers. To send files to other devices , just go to any file manager that has a "Share file" function and choose "Dash this!" from the app list . Then just pick a target IP and DashDroid will do all the rest . You can even select and send multiple files at once!